Ice, water or steam in chaos management and transformation. The challenge is to turn ICE or Steam into more manageable WATER! Look at and search for management of business, civic or civil applications applying chaos theory (Ice water steam) to many areas of life. There are lots of sites to choose from for each situation. Click here for Just one example: around economics From Soros speech. “This leads to a tripartite division similar to water, ice, and steam; open society (near-equilibrium), closed society (static disequilibrium), and chaos or revolution. There are two very different kinds of far-from-equilibrium conditions: one is associated with the absence of change, and the other with revolutionary change. These two opposite poles act as “strange attractors”—an expression with which has become familiar since chaos theory has come into vogue. 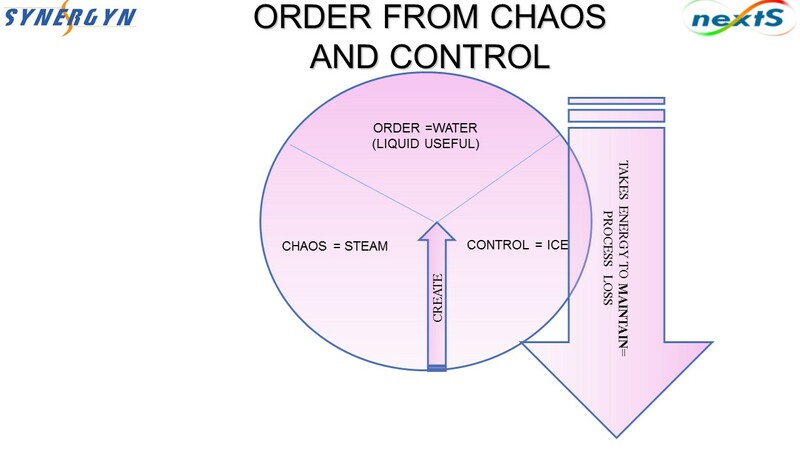 The management of continuous balance between static (ICE), responsive (WATER) and chaos (STEAM) remains the challenge. Unre Visagie – let us have more fun and production in life!